The holiday season traffic served by Moscow’s three airports declined 2.2% compared to the same period last year. The winter holidays in Russia last from December 31 to January 10; many Russians use them to go on vacation, so this short period is demonstrative of overall demand for air travel. According to the Federal Air Transport Agency (FATA), 2.468 million passengers traveled through Sheremetyevo, Domodedovo, and Vnukovo airports between December 28 and January 10, down 2.2% from the 2.524 million reported last year. However, in-depth analysis reveals that Vnukovo was the only airport responsible for the decline, as the other two actually showed traffic growth. According to FATA, Vnukovo served 353,300 passengers in the reported period, against almost 467,000 the year before, or down 23.9%. Vnukovo, however, argues that it served over 250,000 passengers in the first 10 days of 2016 alone, or up 28% YOY. Some 1.023 million passengers traveled through Domodedovo, up 8.9% YOY, FATA says. 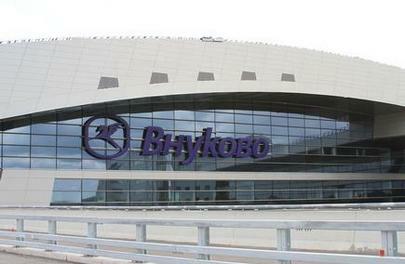 Sheremetyevo topped both rivals, serving 1.089 million passengers or up 17% from last year’s 930,000. Until November 2015, Vnukovo led the Moscow airports in terms of traffic growth rate. Traffic numbers nosedived after Vnukovo’ base airline, Russia’s second largest carrier Transaero Aerline, ceased operations.